I am planning to construct my plot measuring 15x30. Please suggest me 2 BHK on priority. Sir, My Plot size 9Mtr.X 18 Mtr. Corner. I have 2 badroom attach let-bath and 1no drawing room. ground floor only stilt parking. please send some drawings. 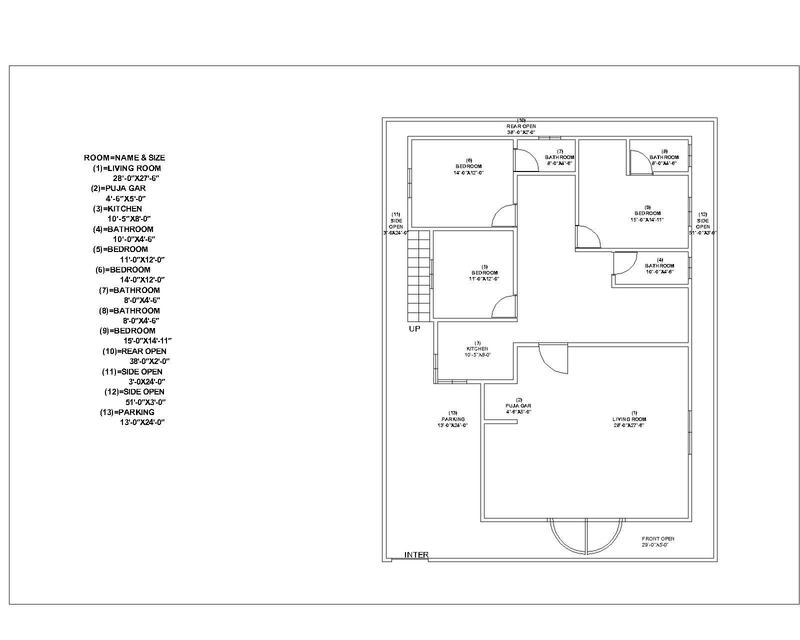 Hellow Sir my plot size 42×27 feet i have to a house 3 room set pls send me house plan how to construct them? Hellow Sir my plot size 13×60 feet i have to build a house with 1st floor so pls send me a house plan how to construct them? sir I want construction 11/50 at indore city so please advise me ...modern plane.